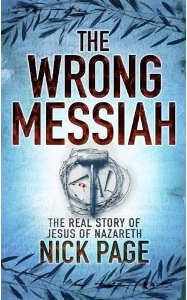 The Wrong Messiah – a historical look at the life of Jesus. He came from the wrong social class, the wrong place and the wrong profession. He ate with the wrong people, championed the wrong causes and attracted the wrong kind of supporters. He even spoke with the wrong accent. In fact everything about Jesus of Nazareth was wrong. How could this odd-job man be God’s Messiah?